Retirement is often referred to as the “Golden Age” to many seniors, but that does not diminish the numerous daunting dilemmas and health care challenges aging adults encounter every day. Whether they are finalizing a will, searching for the desired dream destination to retire, or simply dealing with the aches and pains of daily life, retirement is not necessarily straightforward. One of the most difficult decisions many seniors have to make is what to do when they can no longer functionally care for themselves. Friends and family often go through painstaking measures for the seniors they love. It is no myth that many seniors, and their friends and family, wish to delay or avoid nursing homes or assisted living altogether. Studies have shown that over 80% of seniors wish to stay in their home for as long as possible. Many seniors and their families feel there is no other option and eventually resort to senior living. This article is not trying to bash that thought, as many times it is the correct decision. Each senior is unique and their treatment should be equally individualized. However, what many people fail to realize is that Home Health Care is cheaper, can provide the same services as many assisted living and nursing home facilities, and the senior gets to remain in their community. They can remain close to family, friends, and in the comfort of their own home. Below you can find information on some of the services Home Health Care entails as well as different ways to pay for it. What is Home Care vs Home Health Care? 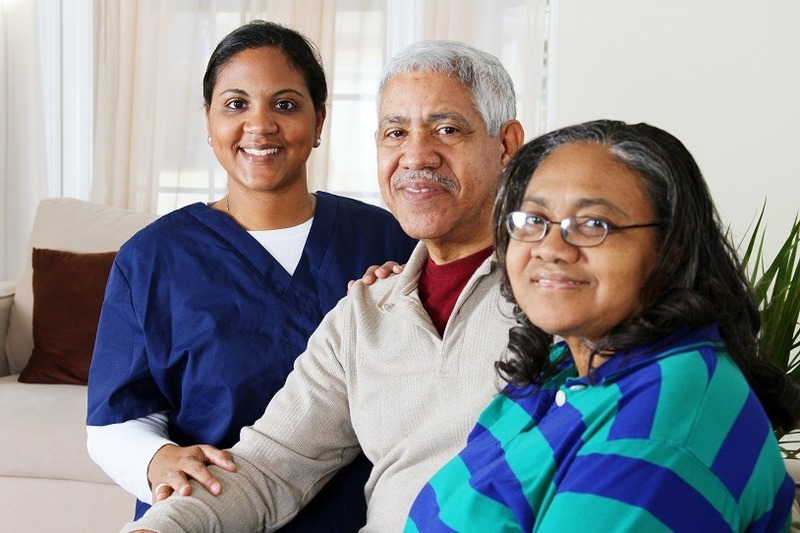 Home Health Care is often times referred to as skilled care at home. What makes this situation difficult for many seniors is that there is a service labeled very similarly which is Home Care. This is often referred to as custodial services or homemaker services. The key difference is the word health. What makes this conundrum more confusing is that Medicare will only pay for some services. First, let’s distinguish between the two, and then discuss the implications of Medicare. Companion Care - Essentially befriending a senior and partaking in activities with them. Medication Reminders - They are not allowed to administer medication, but can help to remind a senior when and which medications are applicable. Personal Care - Daily tasks such as bathing, grooming, personal hygiene, continence care and moving around. Housekeeping - Meal preparation, laundry and minimal housekeeping. The most important thing to remember is to certify or double check to ensure you have your ducks in a row financially when paying for home health care or home care. Home Health Care can be covered by Medicare if you have a written prescription from a physician. Even with a written prescription, it is important to make sure the company you use is part of an authorized Medicare program. Much of the assistance from Home Care can also be covered by Medicare, but the duration of treatment is limited. Treatment time is important to remember so you do not discover you owe a hefty bill that you thought was covered. Usually you need to renew your physician’s notice every 60 days. Medicare is the most common way that most seniors pay for home health care, but it is not the only way. Below you can find some other ways seniors can afford home health care. Private Insurance - Many seniors have been planning for retirement for most of their life, and many of them still have great private insurance policies. Each policy is different, but many of them do cover some aspects of home health care. Since each company and policy is so different, we would recommend talking to your specific company to see what the extents are on home health care coverage for your personal case. Veterans Benefits - Many Veterans can benefit from what is called Housebound Benefits. If you are a veteran, we would highly suggest looking into contacting the VA Caregiver Support, and discussing how the U.S. Department of Veteran’s Affairs can help you pay for Home Health Care. Medicaid - Medicaid is difficult because some states have their own programs while others are lumped together. Depending on where you live, and your financial status, Medicaid can offer much needed assistance. Most states have their own standards and ways to apply for Medicaid, so we would suggest talking to your primary physician, a local senior center, or visiting your state’s Medicaid program to see if you qualify. Program of All-Inclusive Care for the Elderly (PACE) - PACE has been around since the ‘70s, but it is not well known for many seniors. Look to see if it is offered in your area as it only exists in 32 of the 50 states. As long as you live in an area this program exists, are over 55, and require nursing care, they could help you. It is a really great program that many seniors do not know exists. Check it out and share it with your peers! Home Care and Home Health Care are both very beneficial to the senior population. They both offer ways for seniors to remain at home, which as we have explained, is the preferred option. They also help retain money for both the senior and the family care-taking for them. Assisted living costs on average $3,500 per month while Nursing Homes offer their service for roughly $7,500 a month. On the other hand, a home health care aide costs $21 an hour and many seniors only need 10 hours of care a week. As we have discussed earlier, there are circumstances where a senior cannot live alone, or the family cannot feasibly provide. But for many seniors, Home Health Care or Home Care can allow them to live in the comfort of their homes for a few more years.